Harare - Southern Africa's most eligible bachelor is officially taken - after a marathon wait for Botswana, President Ian Khama has finally located his match - and she fits his taste: slim, beautiful and tall. Khama, 57, has never been married - but he made public his desire to be married to a tall, slim and beautiful – in a country known for short, heavy set women. And his new girlfriend Yarona Sharp (not her twin sister Neo, as previously stated) was reveled at the prestigious Kalahari Conservation Dinner in Gaborone, recently. 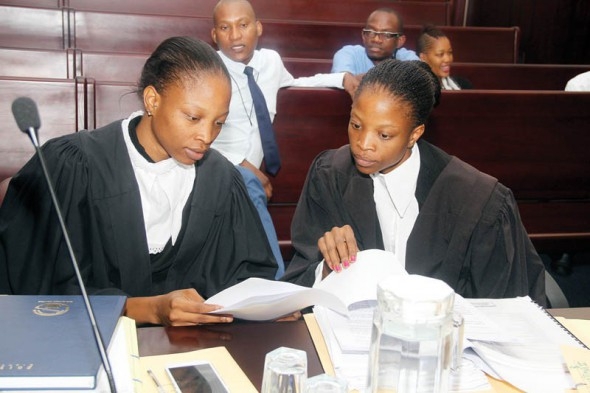 Sharp, a public prosecutor with the Attorney General Chambers, has been a regular companion of Botswana 's bachelor president at official events. Sharp's social media status is interesting. "I started my career, which is not unusual, as an Intern in the Legal Division of the Ministry of Trade and Industry dealing with international trade law. The experience I absorbed there has played and continues to play, a stepping stone to my growth and development in the legal profession," her LikedIn profile says. The University of Witwatersrand educated beauty has a fulfilling job - and it remains to be seen if she can fit in the first lady shoes.